But a study published online today in the journal Cognition by researchers at the Annenberg Public Policy Center (APPC) of the University of Pennsylvania found that the encyclical did not directly influence people’s beliefs about the seriousness of climate change or its effect on the poor. The papal message did, however, indirectly influence people’s beliefs about climate change by raising the Pope’s credibility on that issue, most strongly among liberals. Pope Francis waves to crowds in Philadelphia during his September 2015 visit. Credit: Jeffrey Bruno. The study, based on a panel of 602 U.S. adults who completed surveys before and after the June 2015 release of the Pope’s encyclical, examines the formation of attitudes on climate change. On the seriousness of climate change: Among people who were aware of the encyclical, there was no direct effect on people’s beliefs about the seriousness of climate change. But the encyclical had an indirect effect – people who knew about it were more likely to find the Pope more credible on this issue. The increase depended on political ideology, with the increase in credibility led by liberals. On climate change disproportionately harming the poor: Awareness of the encyclical didn’t directly influence people’s beliefs about the effects of climate change on the poor. But it did increase perceptions of papal credibility on climate change – again, with liberals more likely and conservatives less likely to have increased perceptions of papal credibility. Small evidence of a “Francis effect”: Non-Catholics who were aware of the encyclical gave the Pope more credibility on climate change as a moral issue affecting the poor than non-Catholics who weren’t aware of it. There was no difference in the pope’s credibility on this issue between Catholics who were aware of the papal message and those who weren’t. 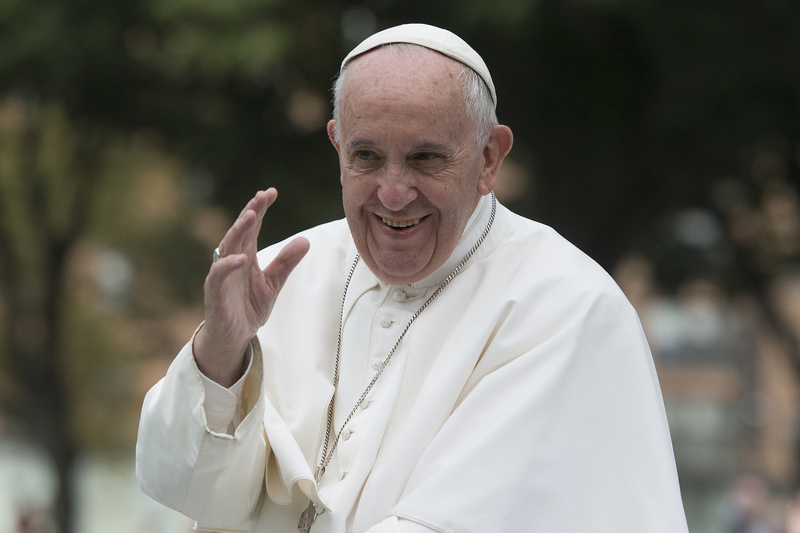 “It is through perceptions of Pope Francis’s credibility – which are either bolstered by liberal ideology, undermined by conservative ideology, or, in the case of non-Catholics’ perceptions of climate change’s effect on the poor, bolstered by encyclical awareness – that the encyclical messages are either accepted or rejected,” the researchers concluded. The study data come from the Pre/Post-Encyclical Panel of APPC’s climate change survey of U.S. adults, which was conducted for APPC by survey research firm Abt SRBI. The first 20-minute interviews involved 1,381 U.S. adults contacted before the release of the encyclical. Of the participants who agreed to be re-contacted, 602 (including an oversample of Catholics) completed a second interview after the encyclical’s release. For more information see the study. Supplemental data is here on APPC’s website.